So you’ve heard mobile app development is too difficult? We understand. Mobile is one of the most rapidly changing and pervasive technologies we’ve encountered since the internet. But don’t let the naysayers stop you from a golden opportunity to bring tremendous value to your organization. At LANSA, we’ve streamlined the process of delivering mobile apps so that any company can get quick and high quality results. You may not know this, but LANSA is the original low-code mobile app development platform. How so? We’ve been insulating developers from the technical complexities of mobile development since mobile’s inception. With LANSA, you can quickly provide users with a stunning, modern UX, give them real-time access to your data, allow them to use all the cool native device features such as GPS, camera, Bluetooth, and even enable them to continue working when they’ve lost their Internet connection. You can do all of this without a large team of full-stack developers. Any Device. Any Form Factor. 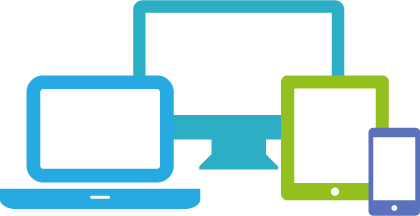 With LANSA’s built-in responsive design, you can deploy your apps to any mobile device - regardless of size - for an optimized user experience. If you need to use the full capabilities of the mobile device, we enable you to quickly build hybrid or native apps for iOS, Android, or Windows devices without learning additional skills. You come up with the cool ideas, and we’ll handle all the complicated technical details. Flexibility is good, right? 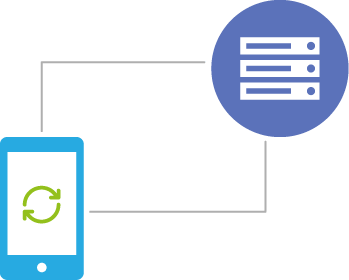 Whether your data is stored in the cloud or on-premises, LANSA gives you the fastest way to build mobile apps that can securely access your vital enterprise data. 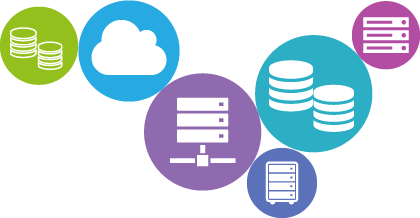 And, in the future, if you need to swap out your database for another or migrate to different server platform, we’ve got you covered. If the saying “a system is only as good as its data” is true, certainly providing users with mobile access to critical business information from phones or tablets will keep any CIO up at night. LANSA’s low-code mobile app development platform comes with a built-in business rules engine that enables IT to set system-wide rules and validates information before it hits your back-end systems. Sleep better, knowing your mobile app development supports the full array of data validation and business rules that you need. Offline? No Problem. Securely Sync Later. Mobile apps are great… when they’re connected to the internet. But what happens when a user loses their connection? Even with the best of carriers, supporting mobile users means that they’re sometimes offline. With LANSA, we make it easy for your mobile apps to continue working when a device is off the grid. Better yet, we make it easy to sync up with the server once the connection is restored. You concentrate on building the app, and we’ll handle the details. Deploy Anywhere. With One Click. So, you’ve built a shiny new mobile app, now what? 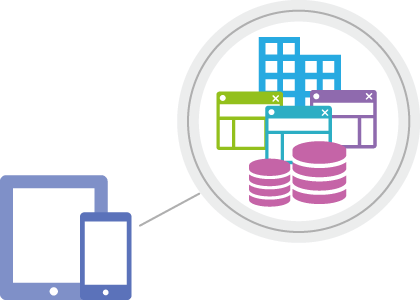 With LANSA’s low-code mobile app development platform, delivering your mobile apps is easy. 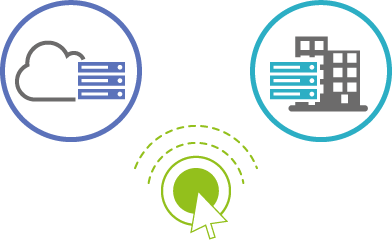 With one click, you can deploy your mobile app to the server platform of your choice - in the cloud or on premise - and reach your customers, partners and employees everywhere they are.